What Southern lady wouldn’t want an adult beverage to punctuate a gorgeous afternoon on the town? Stems & Skins, a local place perfect for getting your sip on, is located on E. Montague and boasts a wealth of libations and regional snacks. You purchase wines by the glass (or by the bottle! ), enjoy a delicious hand-crafted cocktail, or finally see what all the buzz is about when it comes to tinned fish (seriously! Its regional delicacy!). We highly recommend getting your server involved in the experience. Whether you’re a rose-all-day kind of lady or a gimlet aficionado, simply tell your server what kind of wine or cocktails you typically enjoy and prepare to be dazzled by his/her recommendation. You’re certain to walk away with a new appreciation for some tasty libation and you’ll have been in the midst of where the locals love to go to blow off a little steam after a long day at work. Looking to go outside of the box (though certainly inside of the rink)? Hit up a South Carolina Stingrays hockey! The Stingrays are a professional minor league hockey team that consistently put on a heck of a show for locals and visitors alike. For just $10 to $20 a game, you can score a great view of high-energy on ice! They slam, they smack the guts out of the puck, and they serve some tasty snacks and beverages for the eager onlookers. Catch all the action at the North Charleston Coliseum, home to the South Carolina Stingrays. If you’re looking for Southern charm served up on ice, this is a can’t-miss North Charleston pastime. 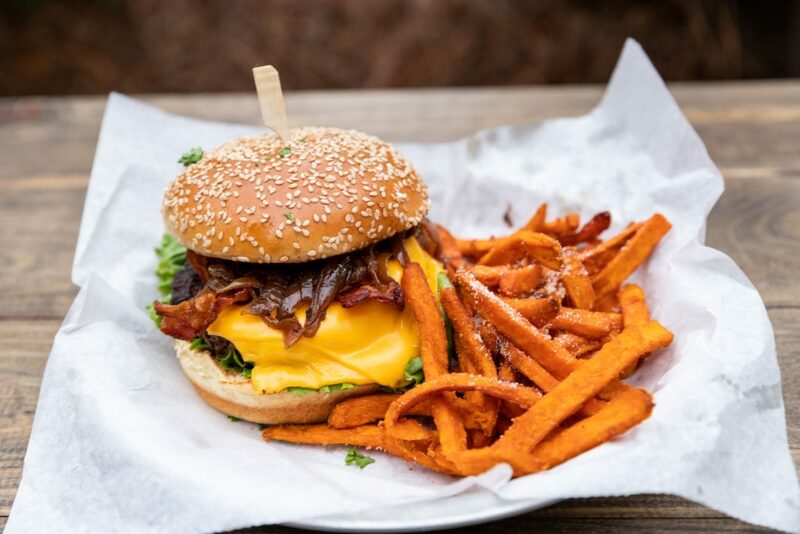 No town is worth its salt without a good burger joint, and North Charleston delivers in big ways. Go on, elevate your lunch or dinner experience with unique menu items like elk burgers, fried cheese curds, and housemade beer cheese chips. But if you want to go uber traditional, Sesame has the good ol’ goods with hand-cut fries sprinkled with a slap-your-momma-good seasoning salt and juicy burgers with toppings as exciting as you dare to try! If you’re looking to fuel up for all the charm available in North Charleston, this ought to be your go-to!